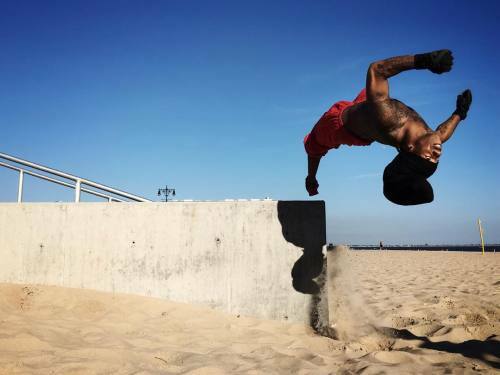 A member of a Parkour crew based in Bedford Stuyvesant, Brooklyn came to the Coney Island Beach to practice Parkour. "The sand is much softer than concrete," said King Spider-Monkey. #photojournalism #documentary #reportage #streetphotography #iphone6s #iphone6plus #apple #parkour #nyc #newyorkcity #sports #coneyisland #brooklyn #kindofawesome" By benlowy on Instagram.